Review by Jack Little (Mexico/ UK), Published in Issue 28. In this alternative history book, when God receives a request from Fátima to help prevent a war between Fidel Castro and JFK, he asks his son, Jesus, to return to Earth and diffuse the conflict. On his island, Fidel Castro faces protests on the streets and realizes that he is about to be overthrown. Alone, surrounded, and aware that the end is fast approaching, he plays his last card. Meanwhile, Christ arrives on Earth and teams up with Fátima, who is convinced she can create a miracle to avoid the final battle between JFK and Fidel Castro and save the world as we know it. At the end, something really extraordinary happens! The books deals with capitalism, socialism, religion and human potential, and while written from a satirical viewpoint, the witty and refreshing language and world viewpoint really draws you in. Nothing is safe from Cerquiera’s mocking taunts, but what does he want from his readers? I think he wants to provoke a reaction. What could our world be like? This book is rich in metaphor and is humorous throughout. The author’s research into JFK and Castro are evident in this character study, forcing both the characters and the reader to consider how their beliefs impact upon their actions in life. 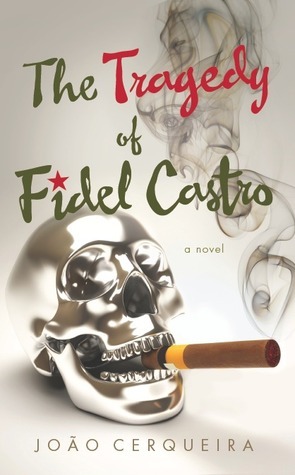 It is a modern reflection on the state of world, and while the author asserts that Christ, JFK and Fidel have nothing to do with their real life counterparts, his transformation of these gentleman into funny and thoughtful characters is the novel’s real strong point. God’s discussions with his son Christ however may put off some readers but if you read the book knowing that nothing is sacred from criticism, then you will be fine. Filled with magical realism, looking at how things might have been to get us thinking about how things really are, just with a few almighty twists. The author is well known in Portugal and he is on the up and up with new books being translated to English and a growing readership. This is an interesting read.